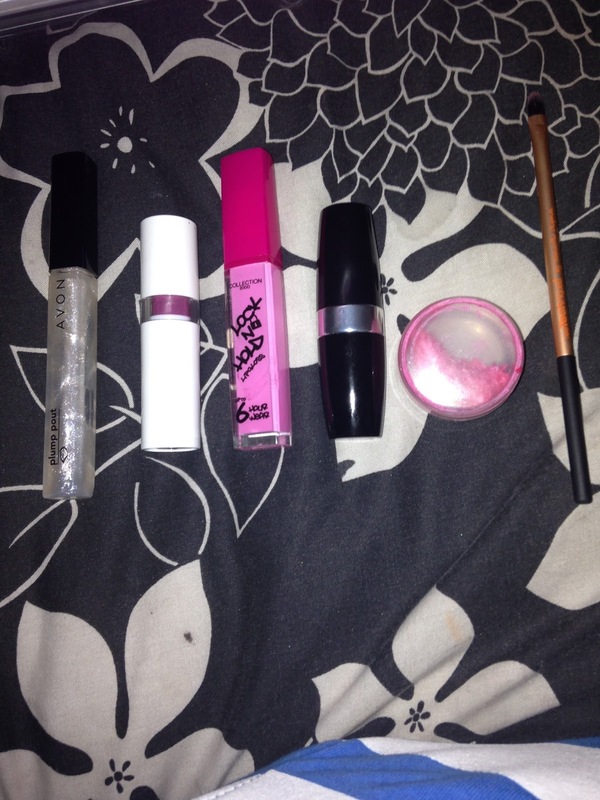 Kiss & Makeup : Lipstick Time! from left to right: avon plump pout in plumping pearl, color trend lipstick in intimate, collection lock 'n' hold lipgloss in body pop1, avon matt liptick in the shade show me some skin, depotted liptick shimmer pink pearl. the brush i used to apply the products is a Real Techniques detailer brush. 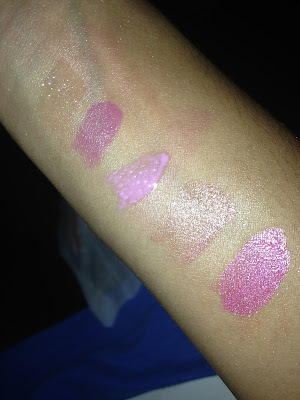 I know that when people, me included, swatch lipsticks on either arms or hand, you can sometimes notice that the colour isnt always the same shade as when you wear it on your lips, so ive swatched them on my lips so you can get a more accurate colour. 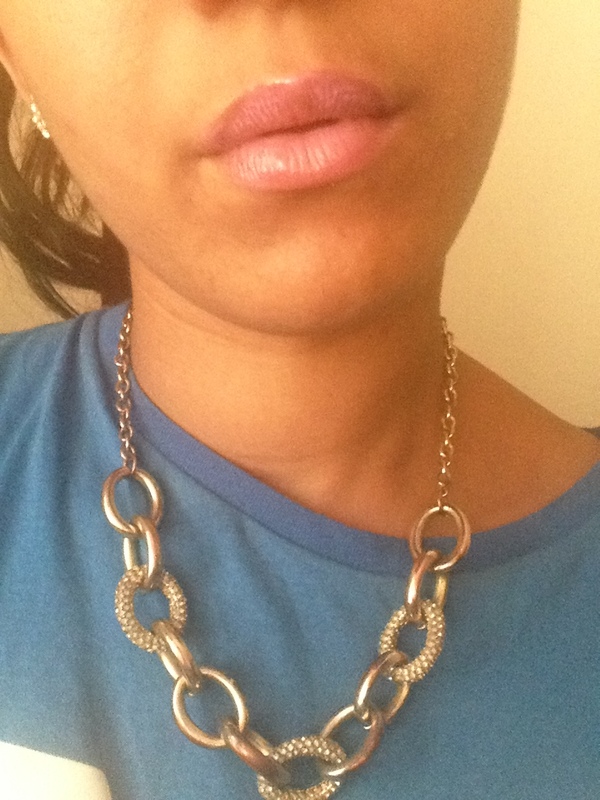 So may already know that i love a clear lipgloss and this one is no different! it leaves my lips feel so soft and moisturised and sometimes lip glosses can be sticky and horrible but this gloss slides right onto my lips and lasts for quite a few hours! this purple color trend lipstick is one of my favourite colours. the photo doesnt do it justice. when i first put this colour on i did realise that i do need to put a few layers on for the colour to come through but when it does it look so good! if i could wear only one shade of pink for the rest of my life then this would be it! the colour is so bright and pigmented and its a great little pick me up to vamp up and makeup look! It is a bit sticky when you apply it but it stays put for atleast 5 hours and the colour doesnt fade! Love it! Im not actually sure what brand this lipstick is but i really like it! the pigment is great and its so easy to apply with a brush, it gives a natural colour to the lips and is great for people of fairr skin to brighten up a daytime look! I hope you all enjoyed this post and i love to read and reply to comments!